Needles, CA: Praying together for National Day of Prayer Breakfast at Juicy’s River Cafe. Embrace Me! Adoption and Foster Care along with clergy leaders from the Needles, California area came and prayed together during National Day of Prayer Breakfast held on Thursday, May 4th, 2017 at Juicy’s River Cafe in Needles, California. ZachNews was there at the National Day of Prayer Breakfast in Needles, California and filmed the event live of Facebook. Before the event, Isabel Hunt spoke about the Embrace Me! Adoption and Foster Care program as well as staff from the County of San Bernardino Child and Family Services spoke about the need of more foster care families and adoption locally. The Impact Club of Needles High School started the event with the Pledge of Allegiance then clergy leaders from the Needles, California area participated in praying over a variety of subjects, including: Billy Bradshaw from Church of God in Christ praying for the Government; Pastor Fred Torres from Rivers Edge Community Christian Church praying for our Military; Pastor Thomas Lamb from Assembly of God praying for Education; Pastor Tony Valentine from Needles Christian Church praying for Churches, and Mark Lamb praying for Family and the Youth. Isabel Hunt with Embrace Me! 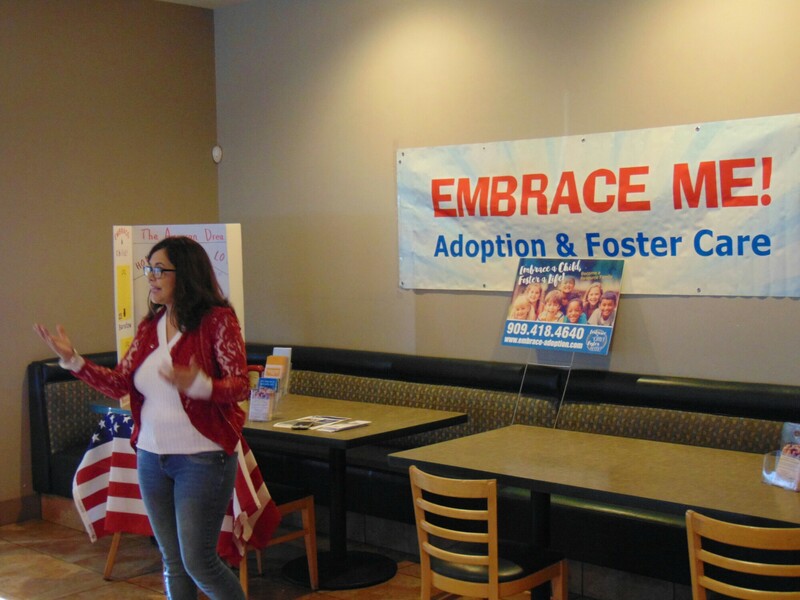 Adoption and Foster Care, a faith-based organization and a Needles Chamber of Commerce member, spoke about what got inspired her to put a National Day of Prayer Breakfast in Needles, California, which she said was after reading a news story 2 years ago on ZachNews of a National Day of Prayer event that was put on by Rivers Edge Community Christian Church. After the event, ZachNews spoke with Isabel Hunt with Embrace Me! Adoption and Foster Care about how the event turned out as well as the Embrace Me! Adoption and Foster Care. Embrace Me! Adoption and Foster Care mobilizes community to embrace children in need of resource families. Their mission is to take away the fear factor of fostering/adopting by equipping families with the necessary tools to become a successful Resource Family. Their vision is to keep kids in their own community when possible in order to see children find permanency through reunification or adoption. For more information about Embrace Me! Adoption and Foster Care, please call: 1 (909) 418-4640. Isabel Hunt thanks all of the clergy leaders from the Needles, California area and Juicy’s River Cafe for the room and the great breakfast. Next Downtown Needles, CA: Painting on the cannon’s fence continues Monday morning as part of the Santa Fe Park Veteran’s Memorial.